Pietro never knew he had a daughter. Since her mother passed away, his daughter is now looking for him, even though he would be aged in his late 90s if he was still alive. Pietro was in Naples in 1942/43, where he met his daughter’s mother, who loved him very much. War and other events intervened, she never told him she was going to have his child, and she never revealed his real surname to their daughter. It is not known whether Pietro survived the war, or if he did, which country he ended up in or what happened to him. Pietro gave this photo to his belle at the time. Pietro was of Sicilian origin, possibly from the Siracusa region. His daughter is a very distant DNA match to me through her father’s side – possibly 7 to 8 generations back to our common ancestor, but unfortunately beyond the reaches of my current genealogical paper trail. If anyone should recognise Pietro, his daughter would dearly love to know what happened to him, even if it simply allows her to place some flowers on his grave. NB: If you are of Sicilian origins and have already done an autosomal DNA test, why not upload your results to GEDmatch and see if you share any DNA with Pietro's daughter? 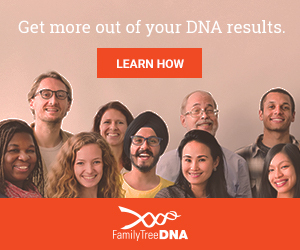 Or if you are interested in doing a DNA test to further your own family research, see what a DNA test kit looks like and how you test, how you can order a DNA test online and read how to Rev up your research with DNA. My DNA analysis was done through ancestry.com. How do I submit it to gedmatch?